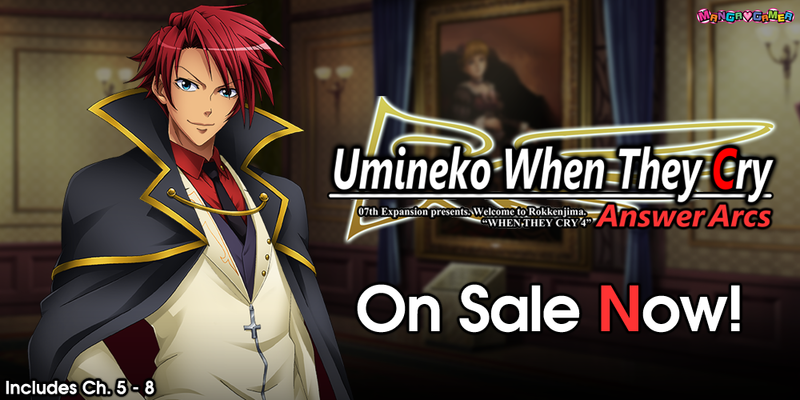 The English version of Umineko no Naku Koro ni Chiru is set to be released on Steam on November 17th. Witch Hunt had already done work translating Umineko, so that helped this release go incredibly smoothly. It’s all thanks to Witch Hunt’s assistance over the years! To everyone at Witch Hunt, thank you so, so much! Umineko no Naku Koro ni’s conclusion, Chiru, is a work I put everything I had into at the time. I think there are a number of shoddier parts, but I very much hope you enjoy it! Hey this is great and all but how the progress on the Higurashi series as far completion goes, just wondering because the status for them on the project status page hasn’t changed for months now.